Claire Seneviratne - Ceramic Artist: Pink heart pendant hung on its side. Pink heart pendant hung on its side. 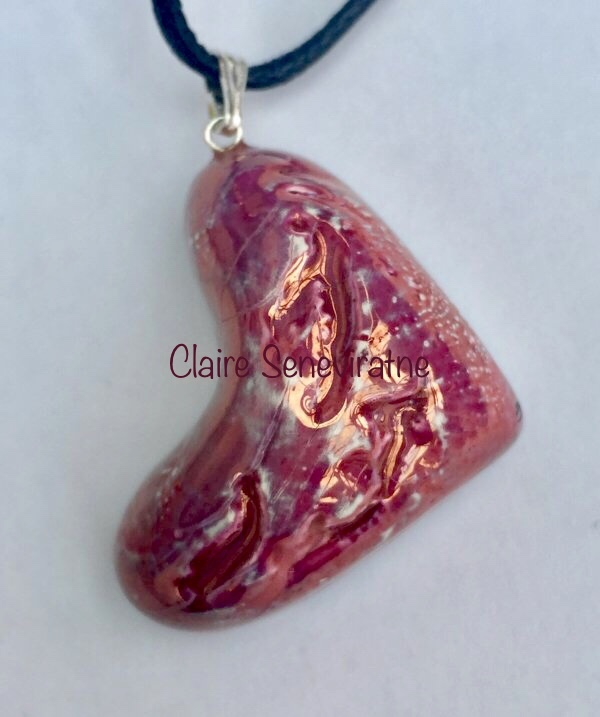 This pink heart pendant has been carved into to create an unusual texture. The pendant is made from porcelain and is attached to an adjustable leather thong. Length- to top of the bail is 3.5cm.